123telugu has already reported about the unfortunate incident that took place during the audio launch function of Gopala Gopala.The President of Vinukonda Pawan Kalyan Fans Association, Karna Srinivas, was stabbed by an unidentified person. He is right now getting treated for his injuries and his condition is said to be stable. Pawan Kalyan would be visiting him in the next few days to inquire about his condition. The actor himself tweeted about this. 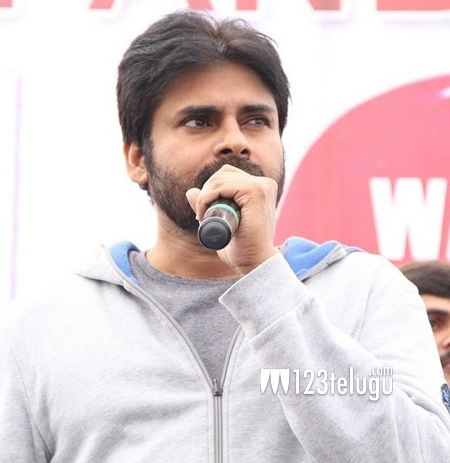 Powerstar Pawan Kalyan has always been an active proponent against holding such audio functions which turn out to be a nightmare for the organizers, police and some unlucky fans who come to see their matinee idols. It would be interesting to see if this incident once again prompts Pawan Kalyan to go back to old ways of holding low key audio functions.